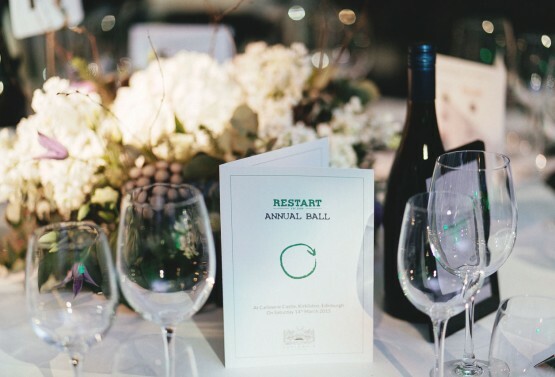 On the 14th March we hosted RESTART’s inaugural Ball at the Castle. This special event was attended by over 400 people and was hosted by Rory Bremner. It was a wonderful night with live entertainment from the Dunwells and fine dining from Andrew Hamer and his award winning team from Wilde Thyme. Through support of the event and the generosity of our guests on the night, RESTART managed to raise over £40,000 for the charity. This equates to over 25% of RESTART’s current annual running costs for work in Edinburgh and London, which is fantastic. Carlowrie Castle operates as a social enterprise and year end profits are donated to RESTART.